Crafters, artisans, indie business owners and anyone who likes to handcraft should know about this little gem in the centre of Teneriffe in the old Australian Estates Compay Limited Building on Macquarie Street. Inside the doors to Artslink on the ground level, past the social enterprise cafe Mr Rush, you will find a crafter's oasis that caters to all handmakers in South East Queensland. 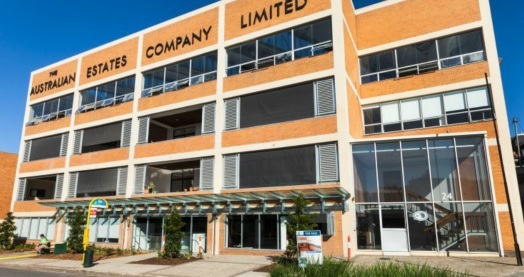 BrisStyle HQ has recently set up this makers space as the next step in supplying makers a base and venue for classes, markets, events and eventually a handmade retail space. You can become a member of this non-profit group for around $88 a year and in return you can take part in their markets and events, get discounts on workshops and access their online forums and groups. However, perhaps the best attribute is their new HQ where they host free member's Make and Meet crafty catchups every Tuesday, offer feedback on your online store in a one-on-one workshop, have craft supplies for members to use for a nominal fee and a space to meet your mates and craft in the couches of the cafe. [ADVERT]In time, there are plans to host Gallery Exhibitions in the long hallway outside the main office which will be yet another coup as artist gallery space is hard to find in our city. You can find a list of their current workshops here and while you don't need to be member, it pays to join so you get the discount if you think you'll be heading along to a few classes. 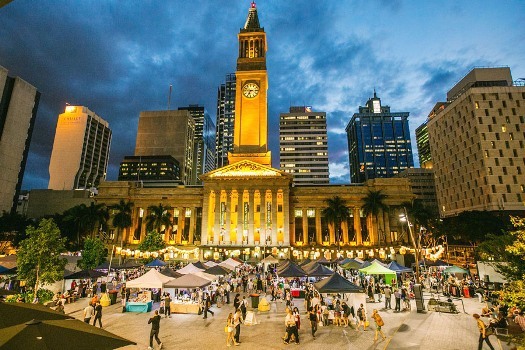 BrisStyle are the brains behind the Brisbane Indie Twilight Markets which have been held in King George Square for the past four years and which are now a vital part of our cultural landscape. They have also started the BrisStyle Indie Markets inside city hall on the second Saturday of each month which have been growing rapidly since they were introduced in May last year. They will be hosting a 'Destash and Dash' market next month in the new premises and this will be their first event of this style since they moved into the space in May. It invites BrisStyle members to sell their excess craft supplies and seconds in a fabulous one-day-only market which is open to the public. While HQ is currently only open a few days a week, as the association grows and is used more frequently, it will be open more regularly for all artisans of Brisbane.